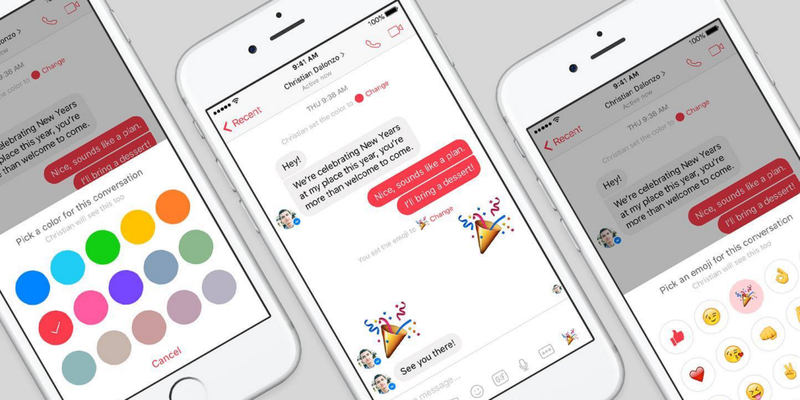 Facebook has announced a number of updates for Messenger today, including the expansion of its recently launched ‘Photo Magic’ feature that lets users share images via Messenger and automatically tag friends in a more streamlined way. Sharing images this way via Messenger then automatically creates a private group chat with everyone that has been tagged in the images. The feature can be enabled (or disabled) manually – and photos are only shared privately in Messenger. Of course, you still keep the normal controls for where your other photos (outside of Messenger) end up and who can view them. It’s not the first time we’ve seen the option, but it is the first time it’s been available outside Australia. It’s also now available to iOS users, as well as Android device owners. Among other updates to Messenger today, you can now customize things like the choice of text color, emoji and nicknames. Everyone in the conversation gets the opportunity to play around with the options, and gets notifications each time a change is made. Oh, and you can also now have a little virtual snow flurry each time you send a festive-themed emoji to a friend. Sure that won’t get annoying quickly.